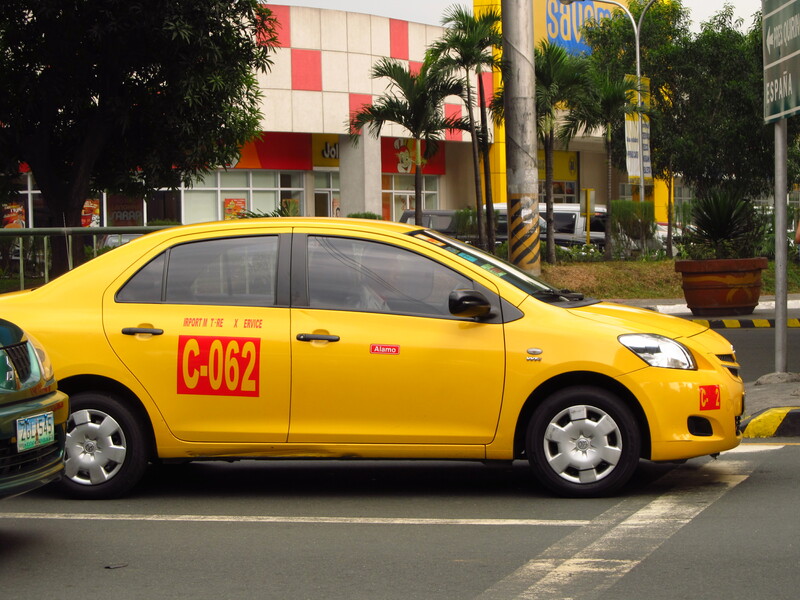 Taxis in the Philippines are like taxis anywhere in the world; you get your good ones and you get your bad ones. Many years ago you could pick the good ones as they were the only air conditioned cabs in Manila and they had meters and the drivers were pretty straight. These days you’d be hard pressed to find a cab that doesn’t have A/C, or a meter; but that’s no guarantee the driver will use it! If you know your way around Manila like the back of your hand, and I do, it is often better to negotiate a fare with the driver, throw in a few peso’s for his own pocket and sit back and watch the traffic jam form around you. For most of us, though, we rely on the meter to charge us a fair fare, so to speak. In a perfect world that would be fine but of course, this isn’t a perfect world and we’re riding a cab in ‘da Pilipeens’! Generally speaking you are safe in a cab. There have been incidents where cabbies have taken their foreign fares to dark alleys where accomplices have been waiting and the end result has been at best a robbery, at worst a murder. But that happens in Australia, too. I’ve driven cabs, many years ago and I have to say it is not an easy job, there is a lot of pressure on the driver to find a fare, get them where they want to go as quickly as possible and not have any dramas. When it comes to a cab load of drunken yobs threatening your life, the blood pressure does tend to rise; so I empathise with cabbies wherever they are. Having said that, the first test you need to apply when choosing a cab is to look at the exterior appearance. If it looks like it has been hammered hard and put away wet, don’t take it. There will always be another one. Cabs that are not well looked after tell a tale. The next check is the driver. If he is smiling, well dressed and doesn’t look like an extra playing a henchman in a cheap Asian martial arts movie, he might be ok. Before you get in, tell him where you want to go and say; ‘metro, lang’. As in, use the meter. His response will be the best indication of whether this might become one of those trips you shake your head over every time you remember it, or it might not. I prefer to sit next to the driver, but some people always use the back seat. There are pros and cons for both. The back doors might have the child locks on and getting out in a hurry could become problematic. Sitting in the front, there is usually more legroom and you can ‘intimidate’ the driver by your bulk and presence if it comes to that. There are also no child locks on front doors. Now I’ve got you thinking, I’ll expand this topic in the next article. Stay tuned, stay safe.